Every detail has been crafted to maximize your productivity. High-tech installments make communication easy and effective, while ergonomic chairs offer optimal comfort and refinement. Our versatile venues make it simple to construct the perfect environment for large events, such as corporate training seminars, and small events, such as intimate board meetings. All are furnished with elegance and professionalism in mind. These large rooms, able to accommodate up to 66 guests, offer the perfect space for training seminars and formal collaborations. High-tech audiovisual equipment and built-in white boards are ideal for visual-learning, while tiered desks and ergonomic chairs ensure a functional and comfortable layout. conference room with a long desk and chairs surrounding it is set up for a meeting with notepads and water on the table. A screen is in the front of the room. Designed for intimate gatherings, these rooms are fitted with conference tables that accommodate up to 8 guests. Elegant decor, luxurious chairs and top-of-the-line audiovisual capabilities ensure an appropriate environment for today’s leading professionals. We have 15 well-equipped breakout rooms so your team and split off for one-on-one strategy sessions, then reconvene for the group events on your meeting agenda. The layout of these rooms are designed to optimize space for large groups. 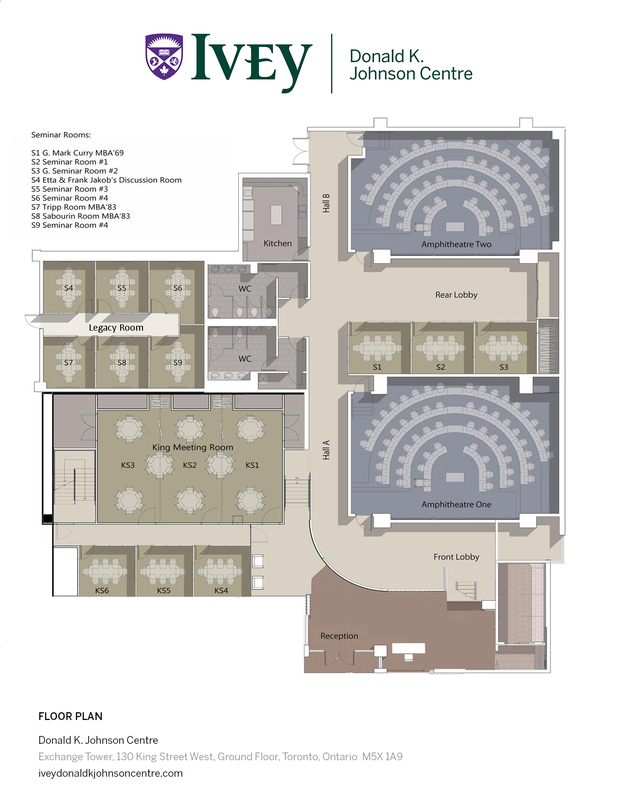 Unlike our tiered amphitheater, the level plane of these floors allows for various arrangements of desks & chairs to suit seminars, banquets or open-space networking events.